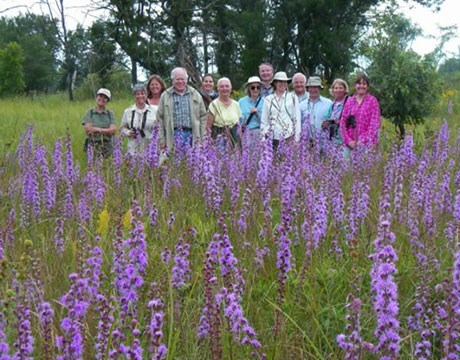 Forest Preserve District of Kane County – We invite you to be part of the District’s volunteer program and help inspire appreciation for the natural world and cultural history of Kane County. The District has volunteer opportunities in natural areas management, environmental education, cultural and historic preservation, public safety and trails and recreation. With the help of our dedicated volunteers, the District is able to further advance its mission of restoring, restocking, protecting and preserving lands for the education, recreation and pleasure of the Kane County citizens. Lake County Forest Preserve – Our volunteers play a key role in operations and public safety, habitat restoration, cultural preservation and education. There are opportunities available for individuals and groups in a variety of settings—both indoors and out. No prior experience is required. Training is provided for all positions. Mentoring Gardens – Laura’s Kitchen & The Mentoring Gardens Market is an educational, youth- mentoring, fund raising project sponsored by The ARK Schoolhouse & The Educare Foundation, Inc., an IRS certified 501c3 non-profit organization. All profits from the sale of goods help support programs at The ARK and to the community. Just like when people work together to make good things happen in a community, putting the right ingredients together can make good things happen with foods! Enjoy our edible ideas from scratch to your table…while encouraging hearts to grow and to care! Disabilities, and the McHenry County Mental Health Board, along with individual and corporate donors. Humanitarian Service Project – started in Karole & Floyd Kettering’s home in 1979 to help impoverished families living in DuPage County during the Christmas season by providing them with an abundance of groceries and gifts. The Christmas Offering continues today, providing nutritious food and Christmas presents to 2000+ children and 133 seniors living in poverty. Over 25 tons of food, and 10,000+ gifts are distributed each December. The Senior Citizen Project began in 1982 with 3 seniors and presently serves 133 seniors monthly with nutritious groceries delivered straight to their door. The Children’s Project started in 1992 as the Children’s Birthday Project with the goal of creating wonderful birthday memories for children living in poverty. Today this program also provides nutritional support at critical times during the year, school supplies and a beautiful birthday box.